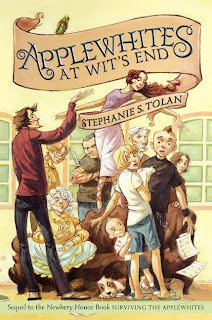 Newbery Honor-winning author Stephaine S. Tolan shares the inspiration for her newest novel, Applewhites At Wit's End. Borrow Applewhites at Wit's End from your school or public library. Whenever possible, please support independent bookshops. I'm going out to snag a copy of that today!